Will we even HAVE jobs by the time we hit retirement age, or will we have been replaced by machines? Some of the most-cited economic studies predict that half or more of all jobs could be taken over by machines and artificial intelligence (AI) within 20-30 years. As news of the change in retirement age strikes this week, the team at publishers and commentators Fast Future takes a look at some of the other issues that face us as we head towards our latter working years. With jobs goes (hopefully) a feeling of fulfillment, paycheques and possibly an entire way of life, so how would we feel without gainful employment? Perhaps the silver lining in the cloud that is the ‘rise of the machines’ is the news that the increase in use of artificial intelligence (AI) should also create new/different jobs, with particular emphasis on the older generation and the ‘human touch’ they have to offer. Artificial intelligence is, ironically, one technology that could provide unique opportunities in attractive new work roles, and may actually have the particular impact of allowing people to work longer and more flexibly across life stages in the future. While the current climate around AI is thriving with breakthrough developments (like algorithms that can develop new recipes, create new baby names or design clothes), there are still many areas where AI is weak. It is possible that one of the future roles for the over-50s would be in a training role – teaching algorithms how to do non-computational things that require a human touch. While training your own replacement sounds less than ideal, it may be highly rewarding to teach AIs to use empathy in dealing with customers. For example, helping AIs to relate to clients experiencing health difficulties, or to use the right language and tone when dealing with frustrated coworkers could lead to very positive experiences for all concerned – and the AI will never tire or lose patience. Any attribute of employee performance requiring emotional intelligence is currently difficult to program—instead it could become an area where retired workers, the semi-retired, or ‘gig workers’ with a portfolio of jobs could tutor AI programs to learn. Could you see yourself training AIs to feel empathy? These roles would probably allow for a great deal of personal development and greater understanding of interpersonal relationships, and would resemble a nurturing, teaching, almost parenting-like role. They could probably be flexible in terms of hours and projects, which might be something retirees would welcome. Another plausible future worth consideration for adults nearing retirement is one where the rise of AI leads to the risk of traditional knowledge being lost, such as nuanced things like manners, handwriting, water-cooler small talk and humour. Some of the characteristics, uniquely human, may prove difficult for smart machines to simulate. Therefore, is it imaginable that older, more experienced people could be valued for their social skills, and put to work in unconventional ways? Personalized tutoring in delicate and human customs could be a great job in which to spend our golden years. Some people might be paid to just hang around a business in case a human touch is necessary. It would be reminiscent of the traditional role of elders in society, where the more experienced adults would be looked up to for wisdom, knowledge and guidance instead of relegated to obsolescence. Indeed, as technology creates pockets of artificiality via AI, virtual reality (VR), augmented reality (AR) and other forms of simulated reality, it will be even more important than ever to provide an authentic human context in the workplace. Celebrating the value of the wisdom of elders is a lost tradition that might be particularly powerful for the Google generation, forming balance in a future dominated by algorithms and computation. Would humans retain their claim over important capabilities like interpreting body language and sensitivity to awkward situations? Assuming such insight remains difficult to impart via code, protecting various forms of social conventions would have a special function in the automated workplace. Older people would be able to transmit and teach others knowledge that would otherwise become lost. Obviously, it is preferable that new tools support human-centric workplaces rather than replace jobs and expertise; indeed, the desired future is often the one easiest to see most clearly. In terms of AI, there’s a tremendous promise of unleashing human potential, rather than limiting it. In doing so, it could revolutionize the traditional trajectory of working life, from foundational training to retirement. However, the ideal outcome – where AI complements rather than usurps humanity – depends on its implementation. Unlike previous technological revolutions like electricity and computerization that changed work, AI represents direct competition to human employees. Companies are salivating at the chance to cut costs and obtain the efficiency, reliability and consistency possible with AI. However, the societal-level changes that automation will entail, such as redefining work, or education, or even our life purpose, renders a profit-driven mindset insufficient. Rather, companies should look at AI as a way to foster life-long relationships with employees; for example, by providing AI assistants at work that go on to become home-care bots in our retirement years. Authentic displays of human decency in engaging with people at any career stage might be how organizations can build AI-enabled workforces of real value. It’s the future that the elders can make better. Rohit and his colleagues are futurists with Fast Future who specialise in studying and advising on the future of society, human lifestyles, government and healthcare. Fast Future also publishes books from future thinkers around the world exploring how developments such as AI, robotics and how disruptive thinking could impact individuals, society and business and create new trillion-dollar sectors. Fast Future has a particular focus on ensuring these advances are harnessed to unleash individual potential and enable a very human future. 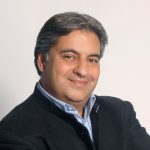 Rohit Talwar is a global futurist, keynote speaker, author, and CEO of Fast Future where he helps clients develop and deliver transformative visions of the future. He is the editor and contributing author for The Future of Business, editor of Technology vs. Humanity and co-editor of a forthcoming book on The Future of AI in Business. 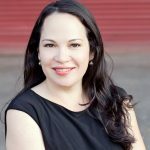 Alexandra Whittington is a futurist, writer, faculty member on the Futures programme at the University of Houston and foresight director at Fast Future. She is a contributor to The Future of Business and a co-editor for forthcoming books on Unleashing Human Potential – The Future of AI in Business and 50:50 – Scenarios for the Next 50 Years.